Natibaby Pearl is one of the original Natibaby designs. Marsupial Mamas did an exclusive recently and wow wow wow! This is a wool blend (30%) so I was hesitant to try it at first because I am sensitive to most wool items. I tried it anyway because I am a sucker for natty wraps. It did not bug my skin at all. That blew my mind because usually my arms start to burn when I wear wool. Pearl was a size 6, so base -2 for me. Over the few weeks it was here, I used it with both Maxine (age 3 & 35ish+ lbs) and Minerva (13lbs) frequently. This was medium-thin in hand and actually was pretty supportive! It was super moldable and made a good chestpass which is something I love in a wrap. 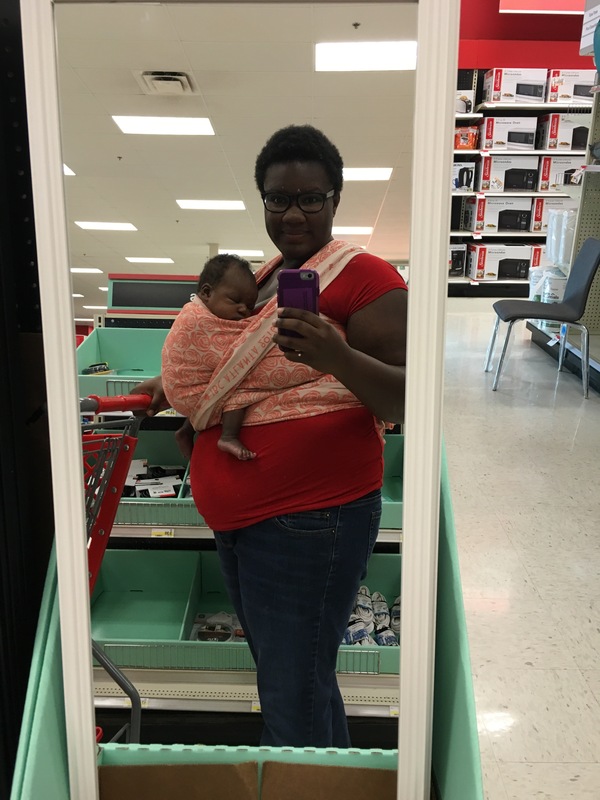 It had nice stretch–the kind where you can get things like you want but it won’t sag on you after a little while with a heavy kid. It had great glide. I wouldn’t call this wrap grippy at all. 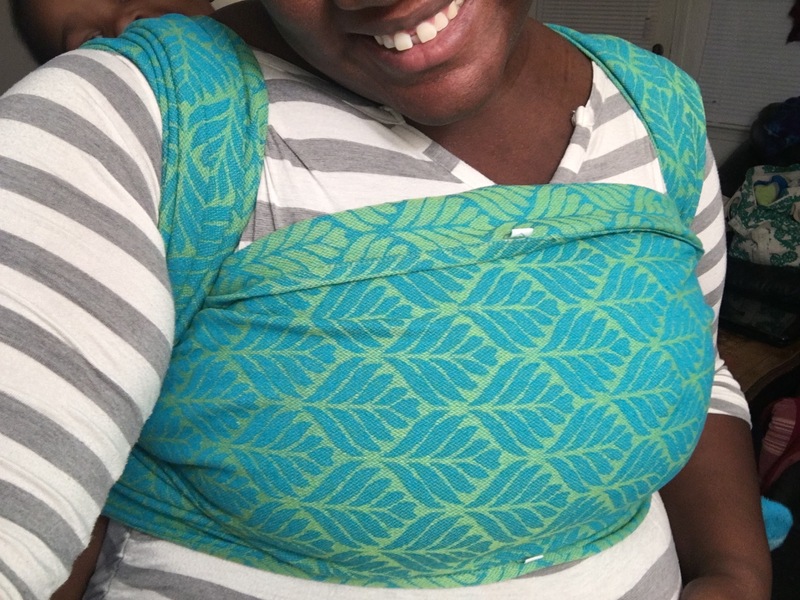 I used this wrap mostly in double layer carries because that is what I prefer to use with both girls in a base -2 wrap. I did do rucks with the big girl in this wrap. 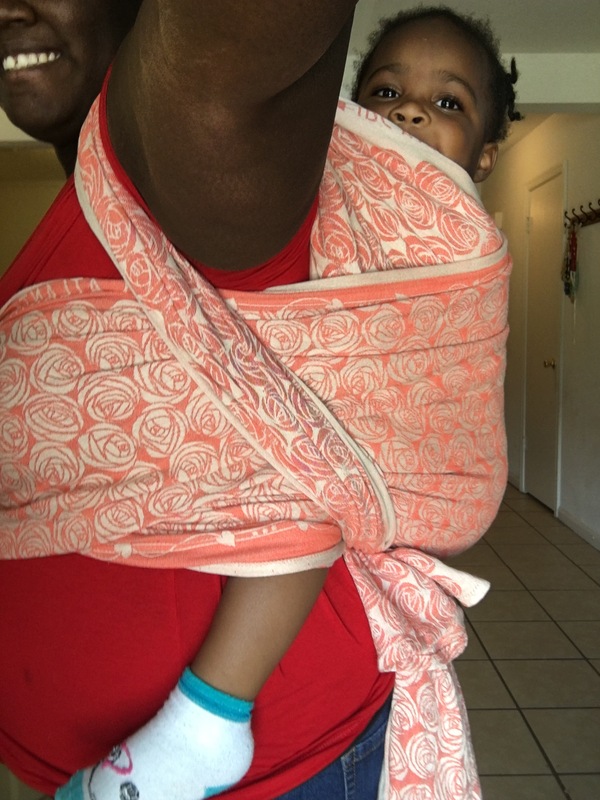 I found the wrap to be very comfortable on my shoulders, especially when sandwiched in the ruck. This wrap rocks a torso carry. I mostly did double hammock torso with my rose finish. I did not have to do much adjusting once I got the wrap in place. The slipknot stayed in place once I tightened it very well. Since the wrap glides so well, if you don’t lock it in place the slipknot may slip some. 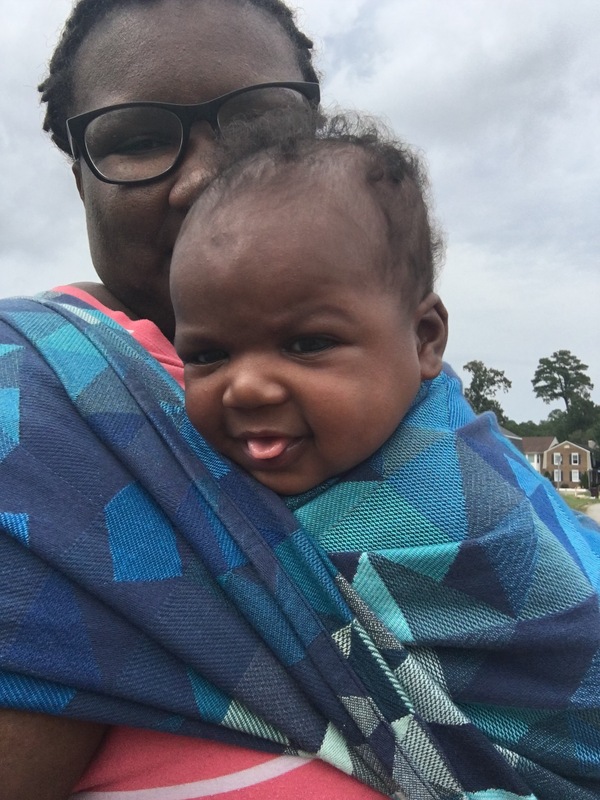 Pearl was the perfect kangaroo carry wrap too. 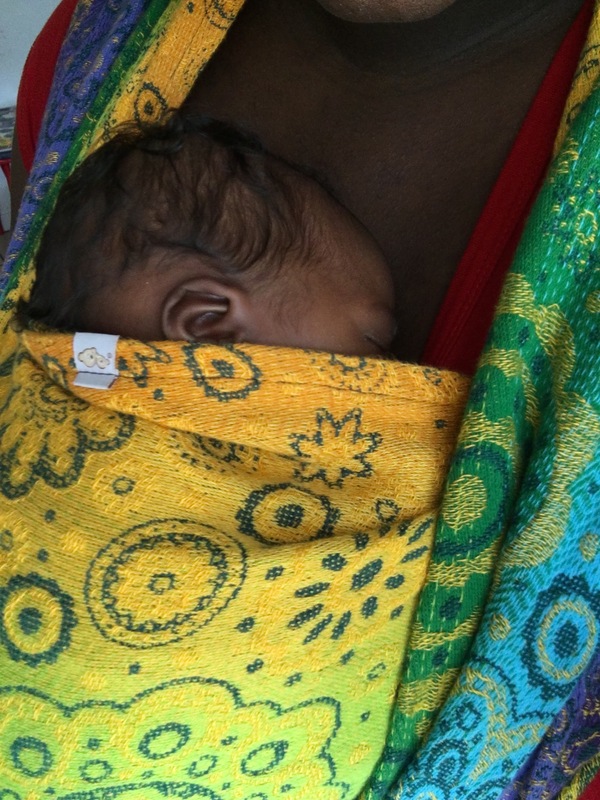 I recommend this wrap to babywearers of all types with all ages of kids. If you are nervous about washing wool wraps, click here for an easy tutorial on how to do it from the Marsupial Mamas blog. Recently I had the pleasure of hosting Ankalia Mako Laguna. Just from looking at the wrap I imagined it to be everything I wanted in a wrap because I really was digging the colors! That always is the first thing I notice when I open the package. Me teaching with Laguna! Thank you Paul Chin, Jr for this great picture! Mako was a size 4 which is base -4 for me. I tested this wrap out with Minerva AND Maxine. Minerva is three months old and 11 pounds. Maxine is three years old and 35 pounds. What a difference, right?! This 100% fine cotton beauty was comfy for both of my girls! My go to carry with Minerva was a kangaroo carry and with Maxine, I stayed at a ruck with candy cane chest belt. This wrap was solid! Solid wraps are perfect for shorty carries in my opinion. I used a sling ring for a couple of carries and the wrap stayed in place through the ring very well. With the short front cross carry, Laguna’s grip made the carry shine. This wrap also rocked a slipknot. 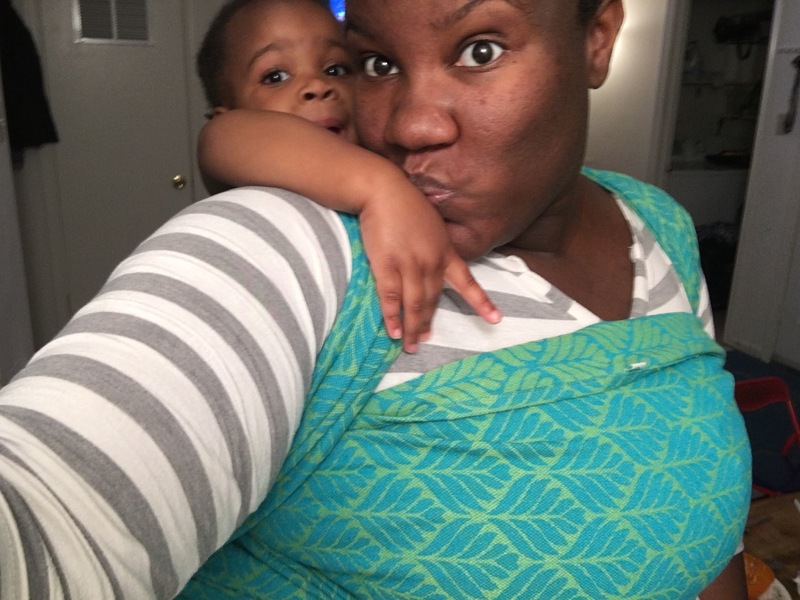 This wrap is on the thicker side of medium and that helped make traditional sling carry super comfortable on my shoulder with my three year old as well as the little one. This wrap was solid on my shoulders and definitely is a great ruck candy cane chest belt wrap. The wrap did not glide easily so pulling it through the ring was a little tough in short front cross carry. The grip made it a little difficult to kangaroo carry in, but once I got it in place, the kangaroo carry went NOWHERE. 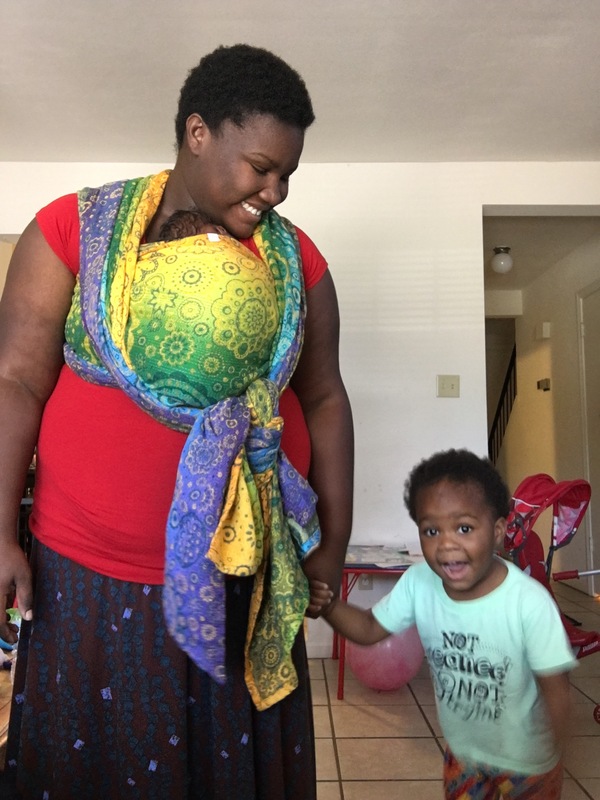 This wrap was wide enough for my toddler but not so overwhelming that my infant disappeared. I absolutely loved the colors! 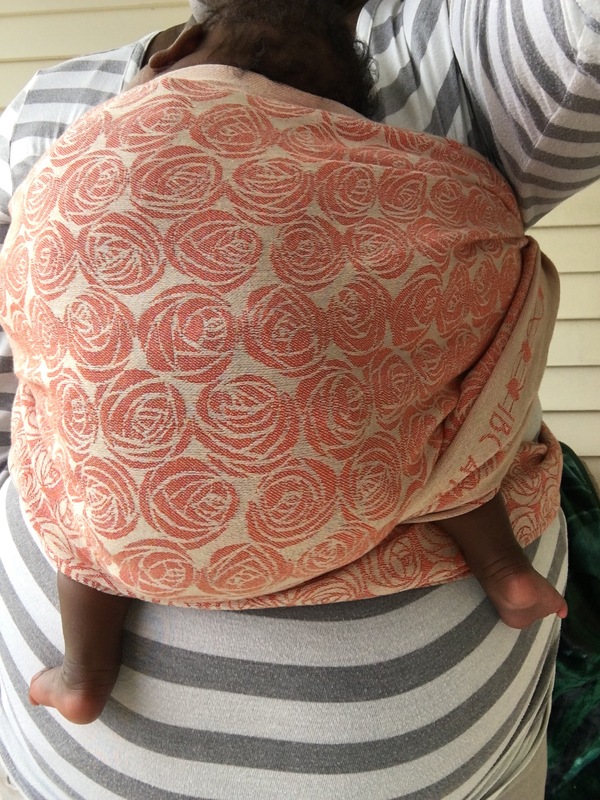 This wrap is a great toddler wrap! Once broken in it will be amazing with little babies as well. The wrap that I borrowed was well on its way to being broken in. 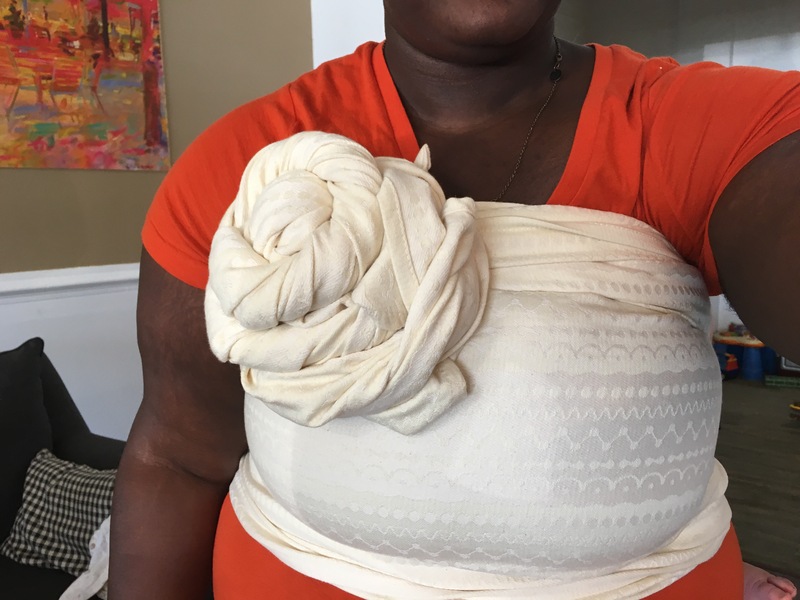 I recommend this wrap to caregivers with children in the bowling ball stage and beyond. This may be a little overwhelming for a newborn. I also would suggest this to a caregiver who is familiar with woven wraps. Be sure to check out Ankalia on Facebook, Instagram, and Pinterest! 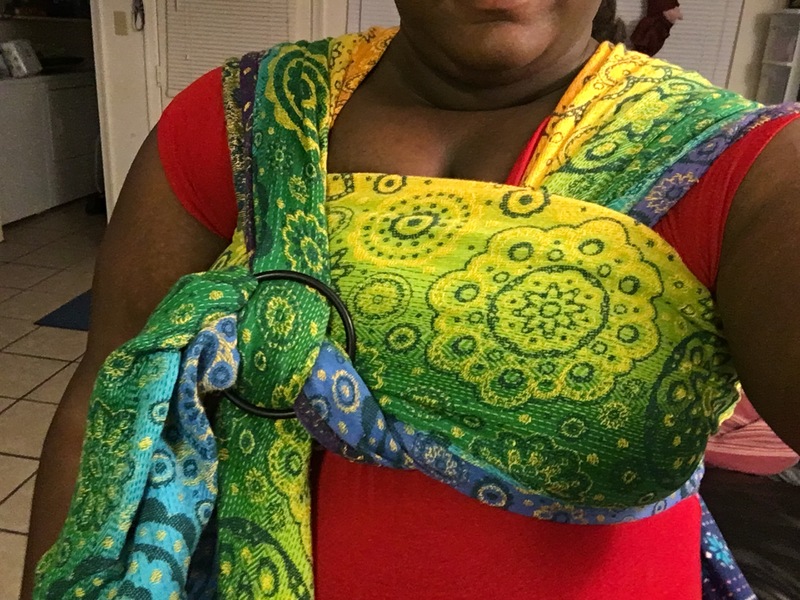 Oscha Slings is a company that I have not tried much. I have only tried two or three others besides this one and each time it was a different blend. This time is no different. Oscha Roses Atlanta is a blend of 47% Ice Cotton, 37% Organic Cotton, and 16% Organic Linen. I’d never heard of ice cotton until this wrap was previewed in July so I was very interested in trying it. Atlanta Roses is a thin wrap and was very easy to wrap with. It was so thin that I was able to tie off a front wrap cross carry in a base -2! I was pretty impressed. The ice cotton made the wrap feel cooler and since there is linen also, I feel that this is the ultimate summer wrap. As I’ve been using the wrap it has been breaking in quite nicely. I mostly have been using it with Minerva (8 weeks, approx 8 lbs) in front carries. 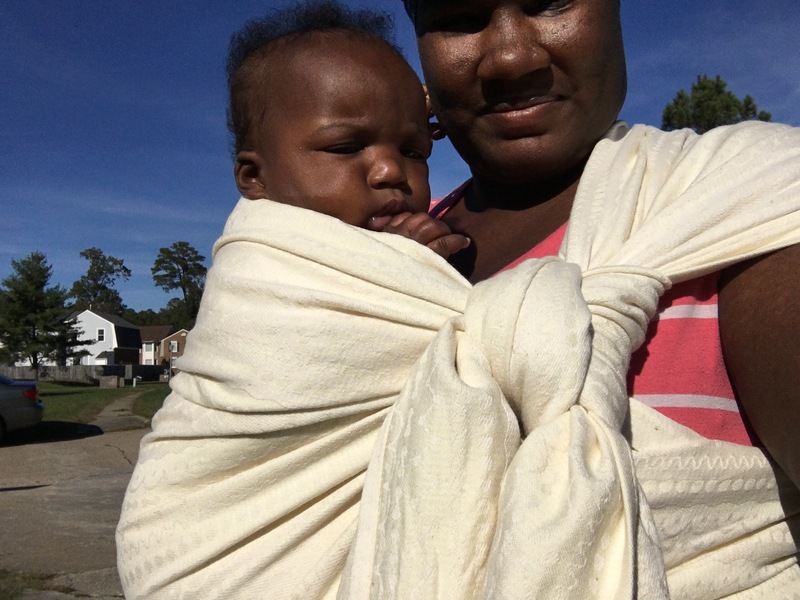 We mostly front wrap cross carry (fwcc), but we have also been doing FWCC torso carry. Atlanta Roses has been super comfortable on my shoulders. It is flat and not cushy in my opinion. The wrap glided easily and has just enough grip to make sure everything stays in place. 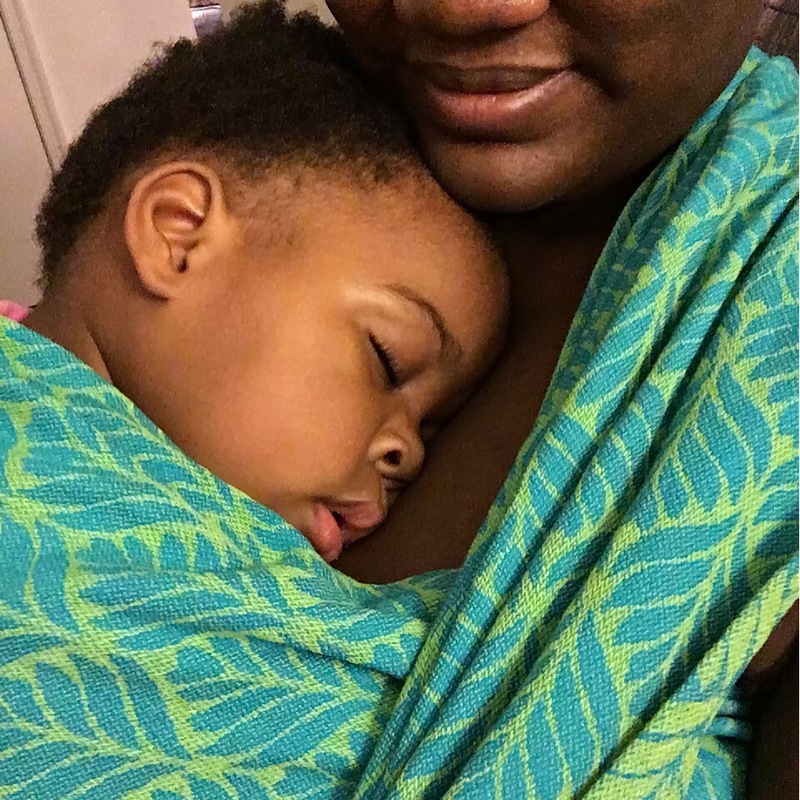 One special thing I appreciated about this wrap was its writing along the side to commemorate the 2016 International Babywearing Conference in Atlanta, which is why the wrap is called Atlanta Roses. That is a wonderful touch. 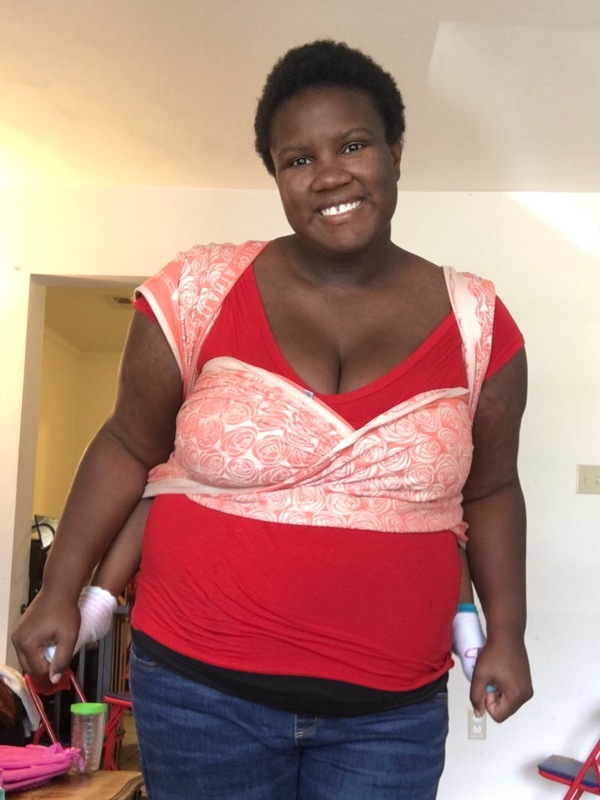 Roses was comfortable even with my 34 pound toddler. Maxine was very comfortable in a multilayer back carry. We did a lot of double hammock with her. I found it surprisingly supportive and I would not hesitate to have her wrapped for very long periods of time. 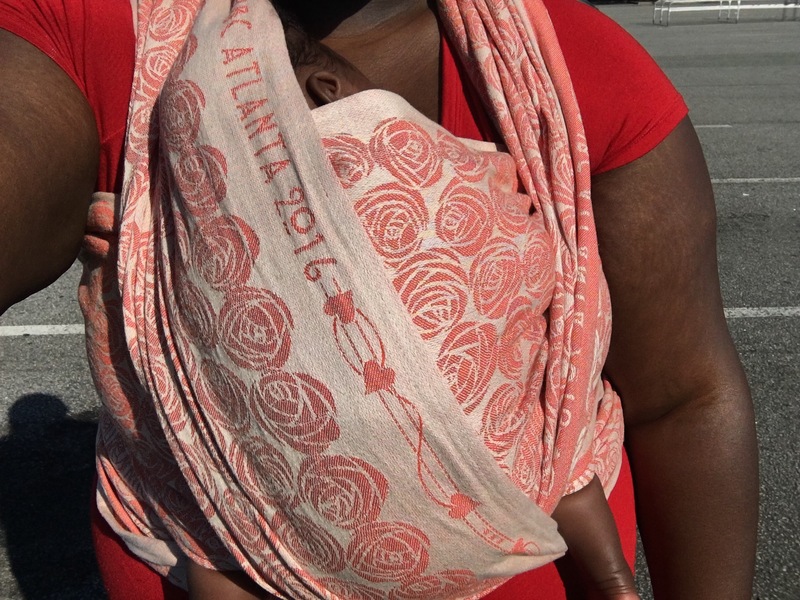 I feel that Atlanta Roses would be a great wrap for all babywearers. 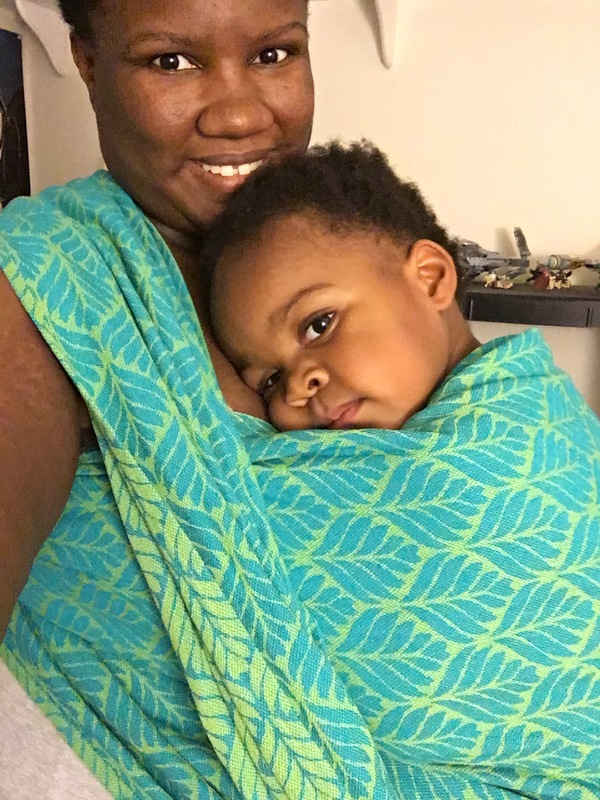 This wrap is also good for infants, and for toddlers too in multilayer carries. If you get a chance to try this wrap, I highly recommend it!! Follow Oscha Slings on Facebook and Instagram. Also, follow Marsupial Mamas on Facebook and Instagram, and be sure to join Marsupial Mamas Neighborhood for all kinds of fun and to hear about sales first! 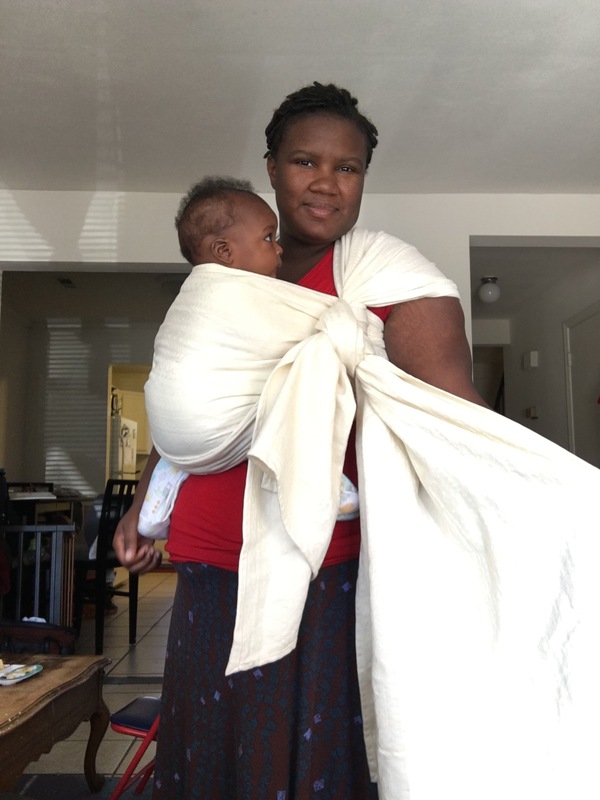 Today I am reviewing Nona Woven Wraps‘ Palmae Barbuda! 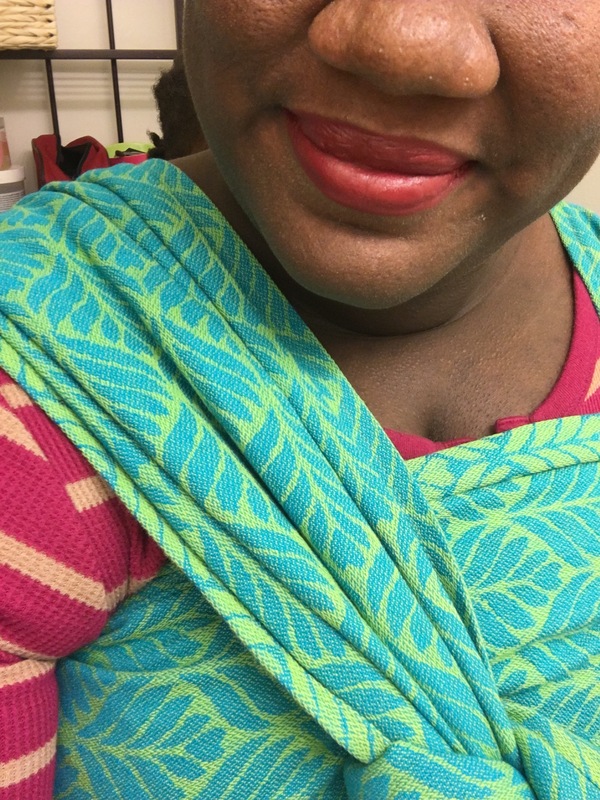 Palmae Barbuda is one of Nona Woven’s budget wraps. The wrap retails at $85 for a size 7! 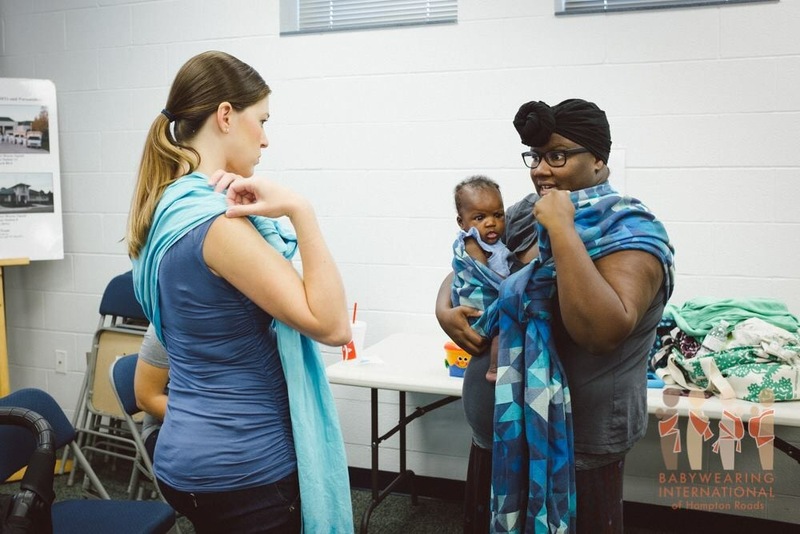 Here in the United States, you can get Nona Woven Wraps from Blossoming Mama out of Houston. Budget wraps are becoming easier to find and I absolutely love that! 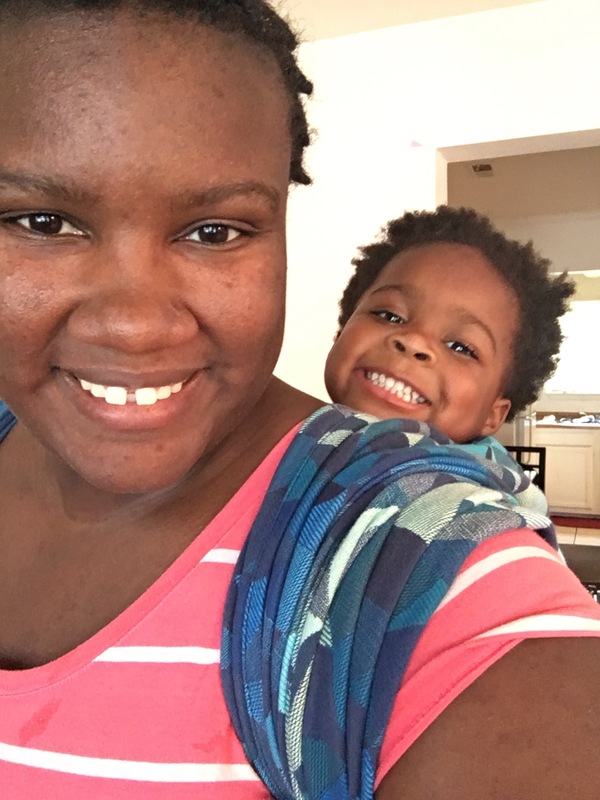 I’m a stay at home mom of one with one on the way, so budgeting is even more important to me now than it was before. Enough of my blabbing, onto the review!! Palmae Barbuda shocked me. I didn’t know what to expect when it came to me, but when I opened the bag, I pulled out a wrap that could stand on its own! 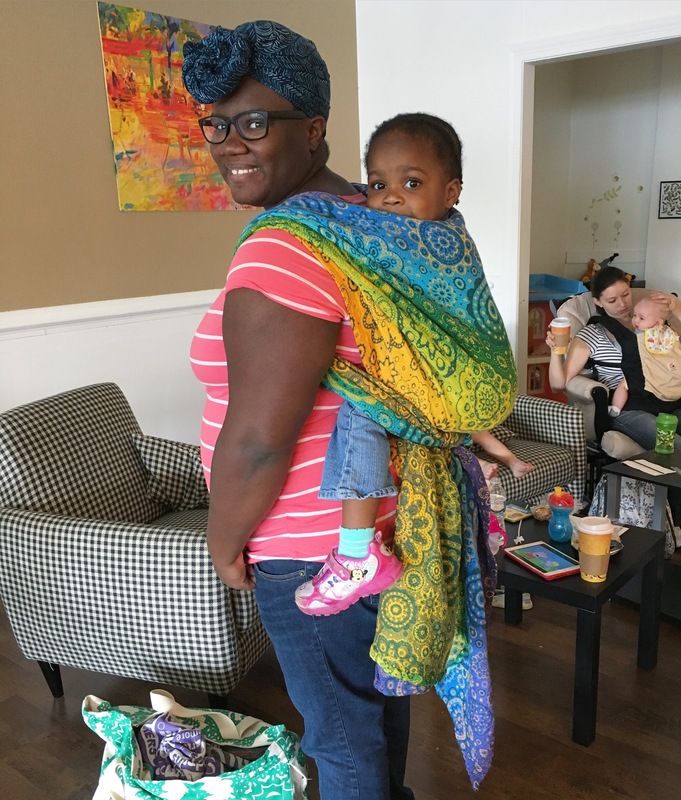 Immediately, I thought “yep, I will have no problem carrying Maxine for a while in this.” The wrap is on the thin and is grippy. There was next to no glide in this wrap. 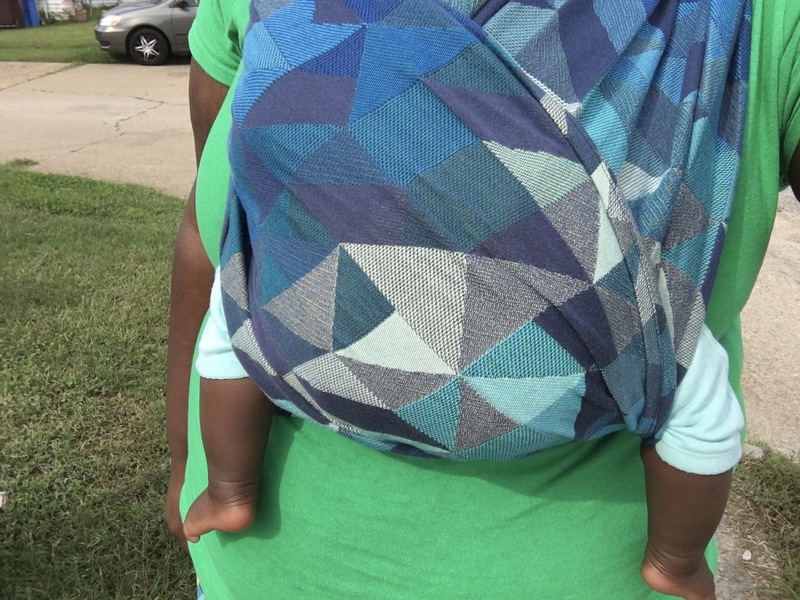 I found it easiest to do single layer carries such as the rucksack back carry and front wrap cross carry in Palmae Barbuda. With a large dose of patience, I was able to do multi-pass carries. 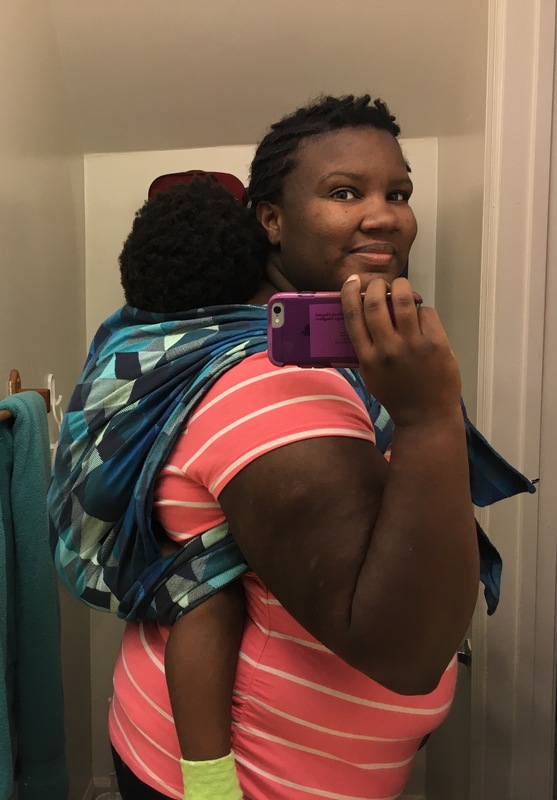 With my 30+ pound 3 foot tall toddler, I have enjoyed front carries the most! Once I had her all tied into a front wrap cross carry tied at the side, Maxine did not BUDGE ONE BIT. The slipknot stayed where I put it and tight. It was a little difficult to make the slipknot because of how grippy the wrap is, but it was worth it. It didn’t even hurt my shoulders at all! PB takes a lot of work to break in. I have been ring dragging, knot dragging, braiding, ironing, and wearing all the time to help the breaking in process. This wrap still has a ways to go! PB basically pleats itself. I love wraps that pleat on their own! The back carry I enjoyed doing most was Shepherds back carry. Though the wrap was a little long for shepherds at 5 meters even which is a base minus 1 for me, I just rocked it with long flowing tails. I usually do shepherds with a base minus 2 or 3. The best part about this wrap was that it was super forgiving of terrible wrap jobs. There were many times that our uppies were frantic tantrum calming ups and those do not allow for precision tightening. Those are GET HER UP NOOOOOOOW types of carries. 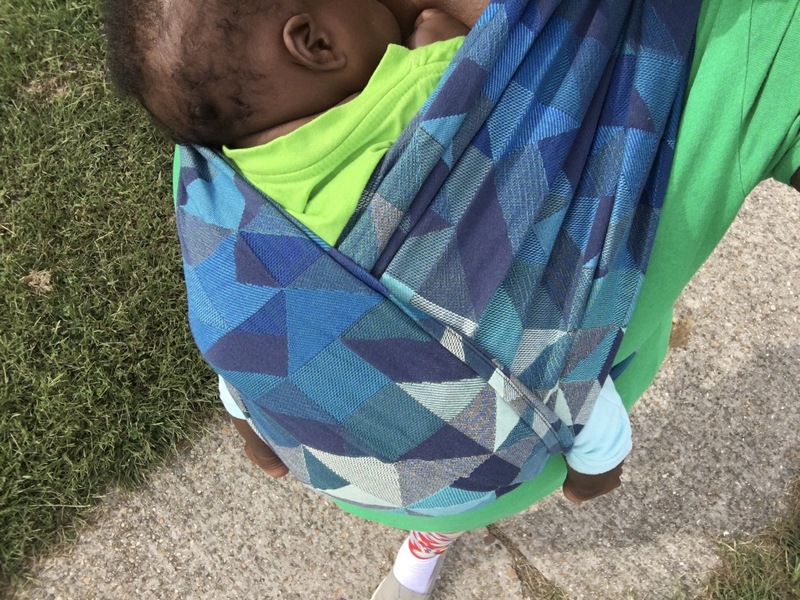 Nona’s Palmae Barbuda is not a beginner budget wrap. 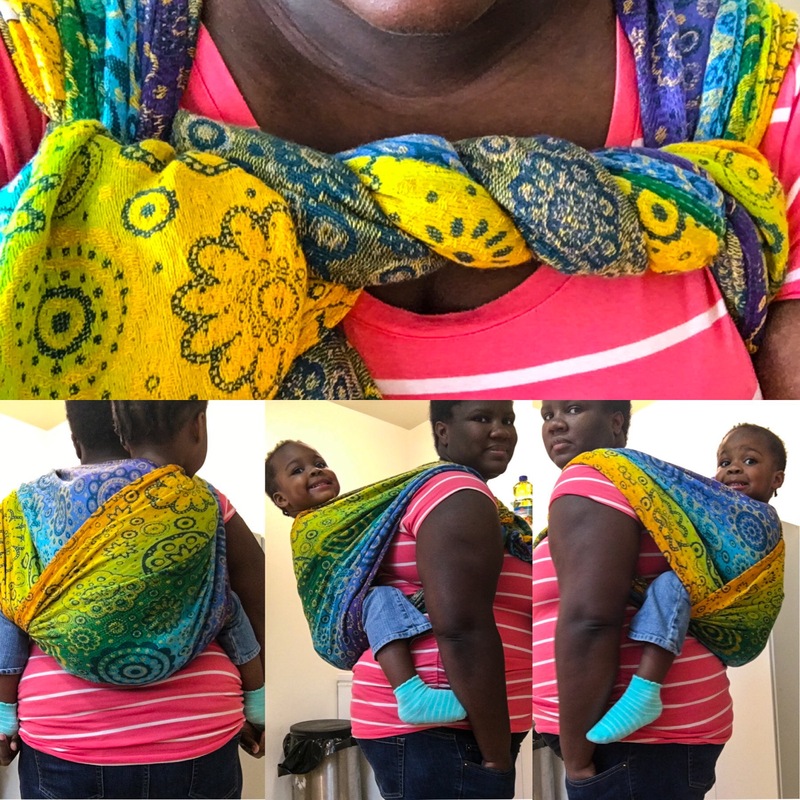 I would recommend this wrap to intermediate and experienced wrappers. 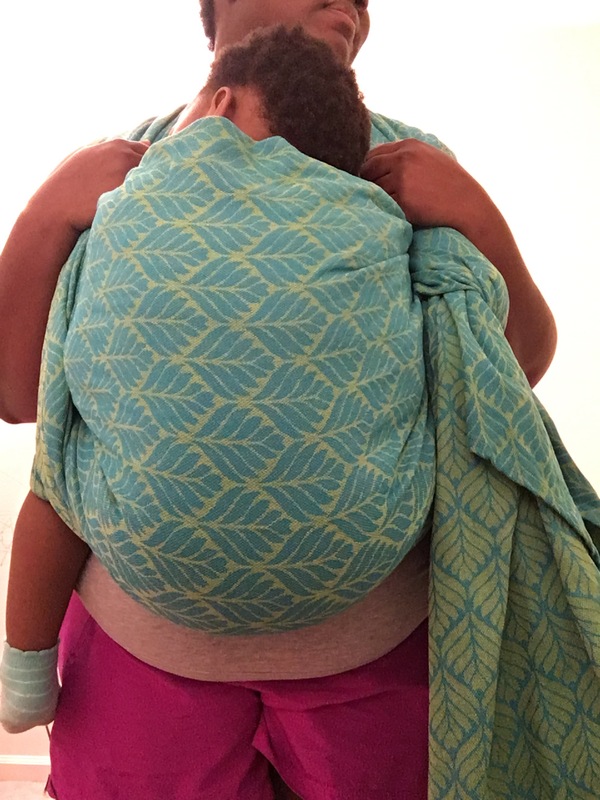 This would be great for wrapping heavier babies and toddlers. I would not recommend this for newborn wearing because it is not soft. If you like thin and super grippy wraps, you may like this one a lot! Want to win this wrap? Click below!! 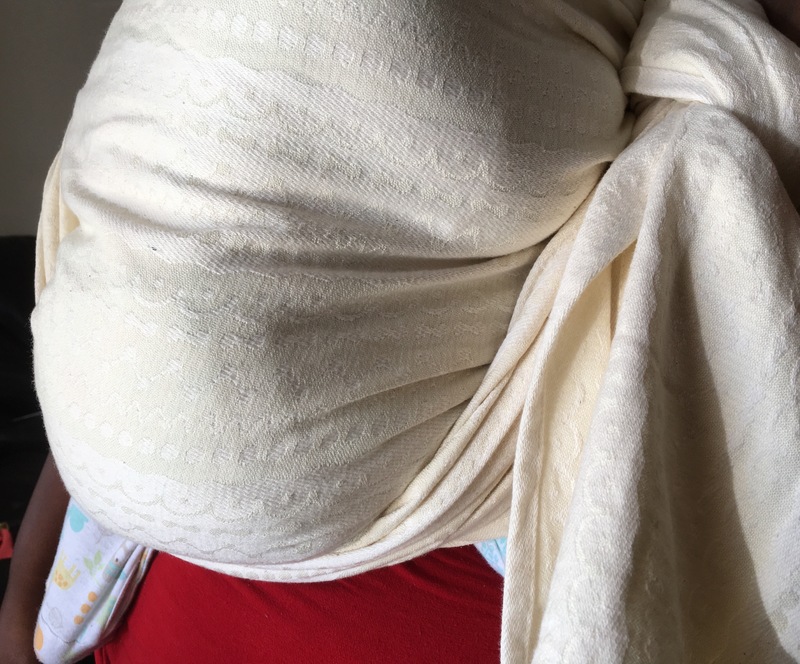 Britt Brown Marsh Blog’s Nona Woven Wrap Giveaway!! 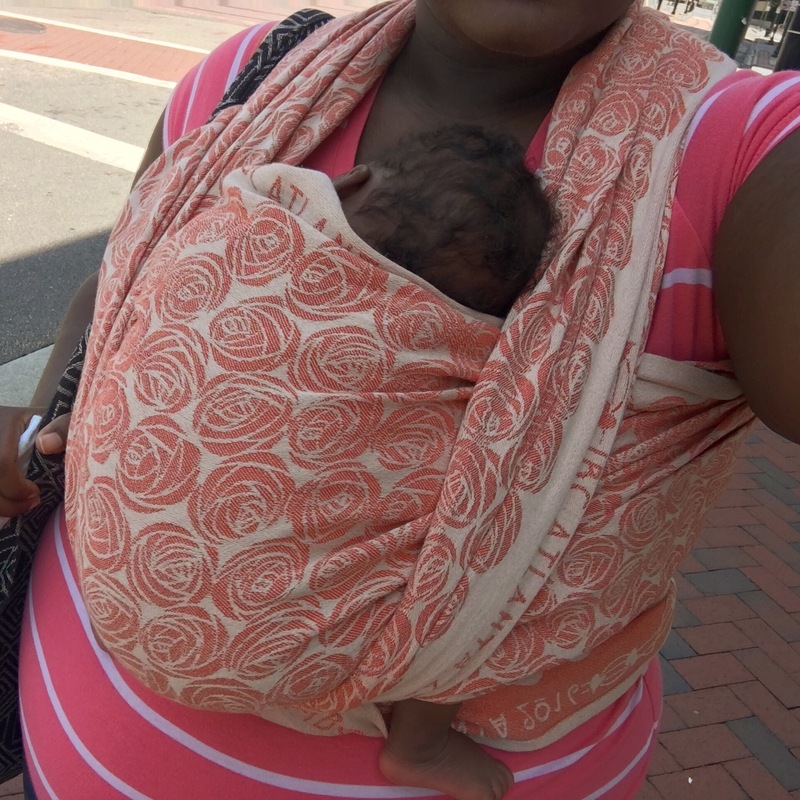 Be sure to follow Nona Woven Wraps and Blossoming Mama on Facebook! 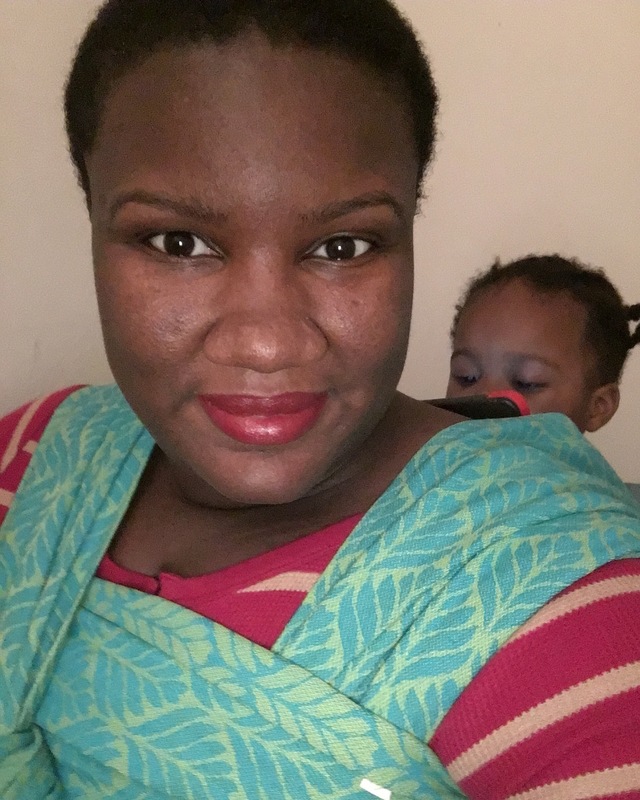 Also, head on over to blossomingmama.com and use the code BBMNONAREVIEW to get 15% off of your order! Manufacturer restrictions apply.